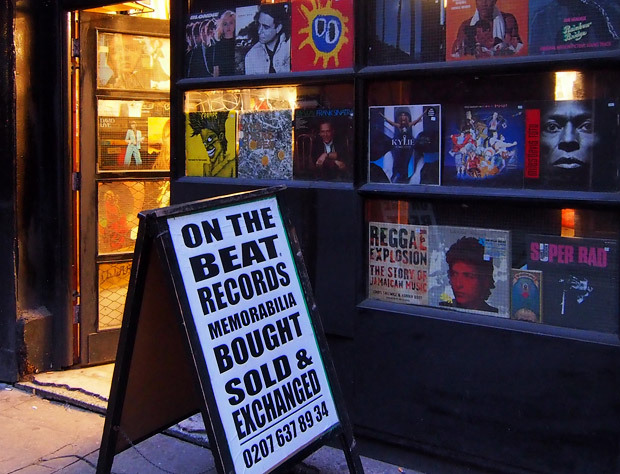 There was a time when central London was full of record stores, but On The Beat records is one of the few survivors. 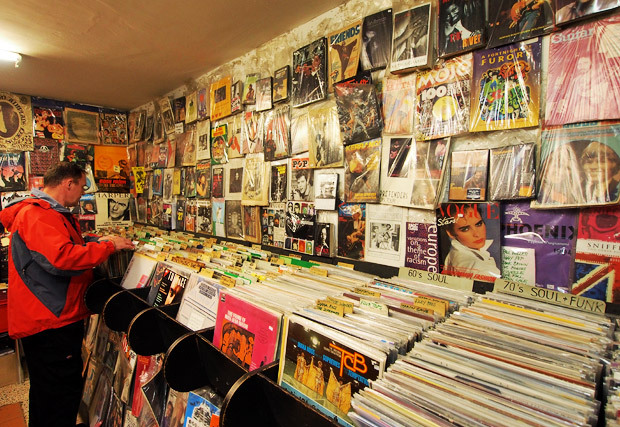 Tucked away in Hanway Street off Tottenham Court Road – and just a short stroll from the legendary Bradley’s Spanish Bar – On The Beat is a wonderful survivor from the time when vinyl reigned supreme. 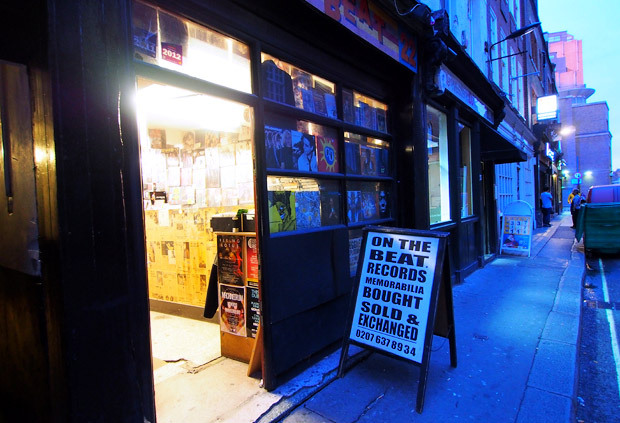 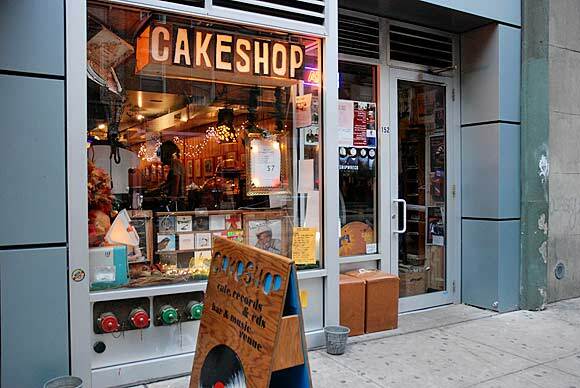 Inside you’ll find a feast of old (and some new) vinyl singles and albums, plus vintage magazines, memorabilia, rarities and some mod-style clothing. 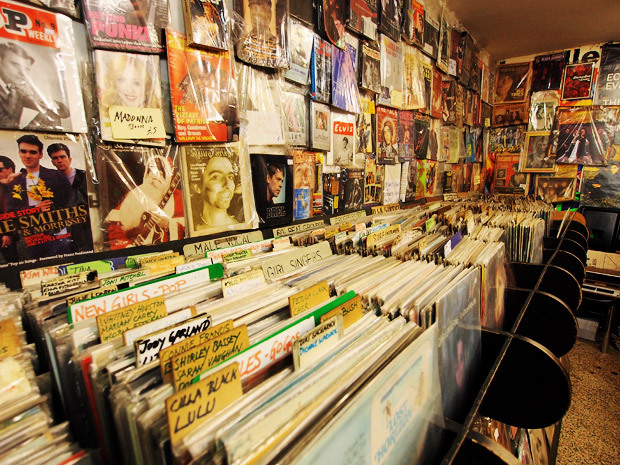 There’s all sorts of music on offer, but with a strong focus on 60s, 70s and 80s material. 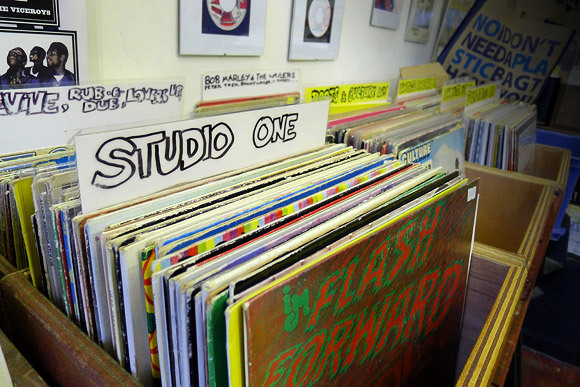 The shop is stuffed full of interesting goodies, and it’s easy to find yourself spending hours browsing all that lovely vinyl. 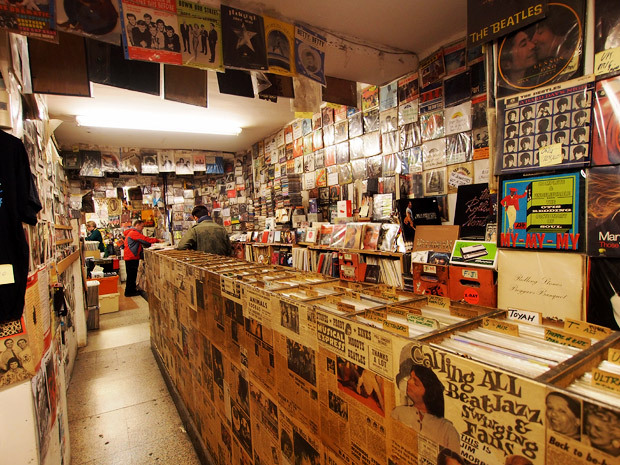 Pages from old music mags like New Musical Express cover the record racks, and the shop is clean and scruffy like a proper record shop should be. 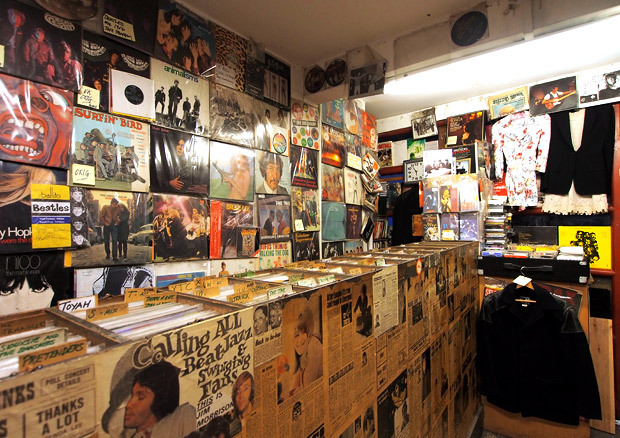 Sharp eyed readers should be able to spot records from the likes of King Crimson, Bob Dylan, New York Dolls, Marc Bolan, Led Zep, Rufus Thomas and the incomparable Peter Wyngarde on the wall. 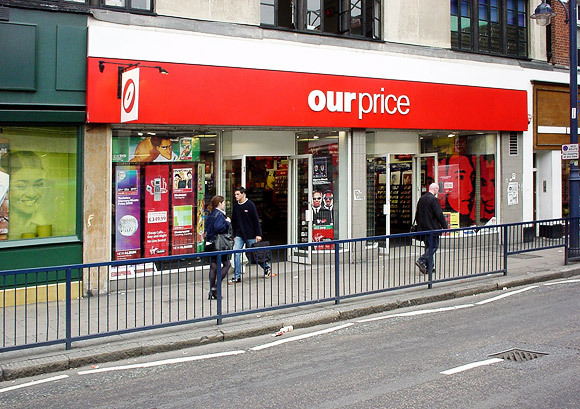 All quality stuff! 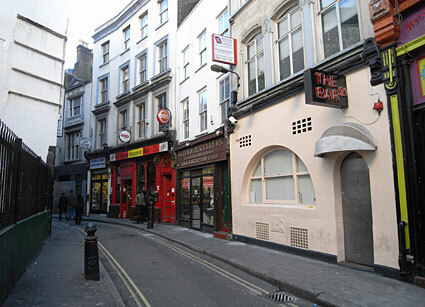 Read more about Hanway Street here.